AXYS® Chassis The AXYS® chassis provides Rider Balanced® performance for control, precision, and the highest fun factor. ALL-NEW PRO-CC Rear Suspension The ALL-NEW PRO-CC Rear Suspension is the next generation rear suspension from Polaris®. 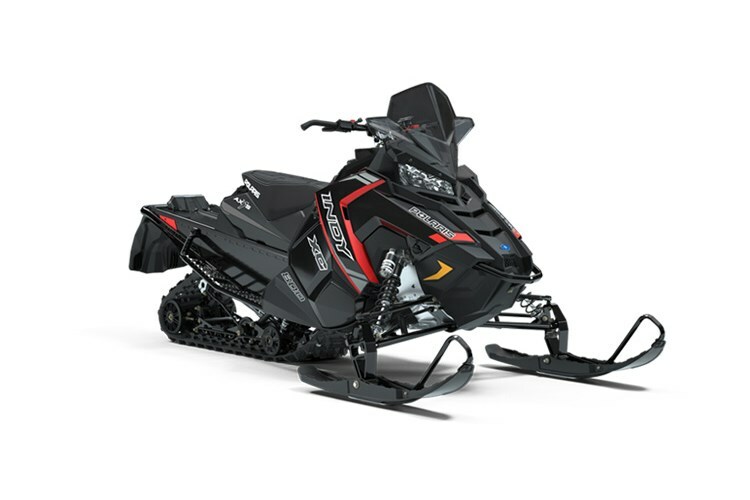 It produces the industry’s best acceleration, handling, and a consistently smooth ride. The rear skid’s coupled design controls pitch through geometry without reducing the fun factor. The front torque arm is calibrated for trail compliance without bottoming. The rear torque arm features a torque link and has an optimized position for Rider Balanced™ Control. Premium Walker Evans® Shocks Walker Evans® Shocks are race-tested and race-proven, and have improved clicker accessibility for easiest adjustability. The front suspension shocks are Piggyback Needle shocks. The front track shock is a Piggyback shock with a 2”-diameter for durability and an improved ride, and a performance-enhancing softer spring. The rear track shock is a Velocity Needle shock that features improved oil flow to reduce harshness at top end of the clicker. Storage Storage comes standard on all INDY® 129 models with additional accessory storage options available for greater versatility. 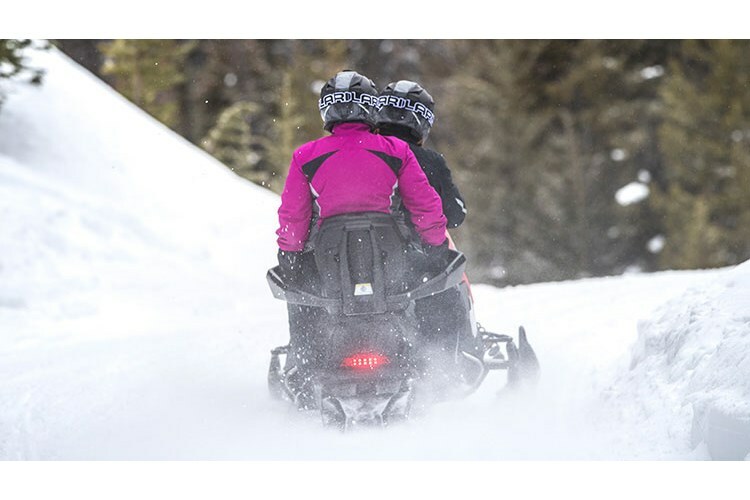 - Standard integrated underseat storage bag provides 1024 cubic inches of secure storage space with a weather-tight design that seals out snow. - Accessory storage solutions are available that install quickly, easily, and securely, and can be used with or without the 2-up seat. Accessory Passenger Seat Ride solo or 2-up with the optional FT2 accessory passenger seat that installs easily and requires no suspension adjustments to maintain outstanding ride and handling. 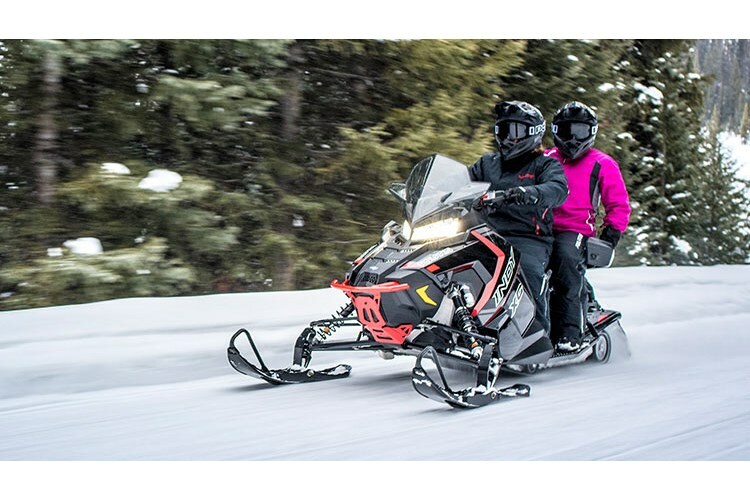 Heated passenger grips come standard with the seat and connect to the sled’s wiring harness for power. 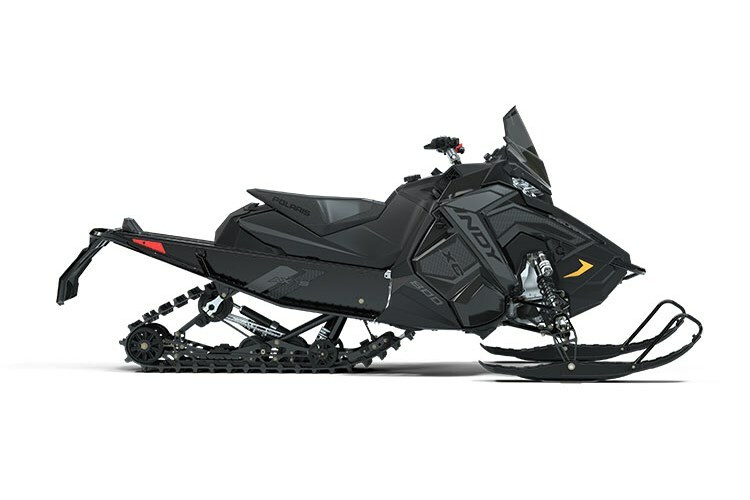 Lightweight Polaris offers the lightest weight 129” sleds on the market and with the all new PRO-CC rear suspension and AXYS chassis, this family of sleds features industry-leading acceleration. Track Options Various track options are available for the INDY 129’s that let a rider customize the sled to suit their personal riding style. Track options include: Camso Storm 150 1.5” track for aggressive performance both on and off trail; Cobra 1.35” track for superior traction and control on soft, loose and unpacked snow; and Ripsaw II 1.25” track for ultimate traction on both hard-pack and loose snow. PowderTrac™ TR Running Boards ALL-NEW PowderTrac™ TR Running Boards feature an optimized design for maximum snow clean out while minimizing snow kick-up and maintaining extreme strength. Includes integrated snow skirts. All-New Snow Flap & All-New Rear Bumper ALL-NEW Snow Flap enhances cooling with its new design. ALL-NEW Rear Bumper delivers improved durability with its integrated one-piece optimized design. Light yet strong, it also provides improved grip. XT Hyfax ALL-NEW patent-pending Hyfax with a new profile design is optimized for lighter weight while maintaining durability.